In the past several years, Kingtronics always donate a small part of funds to some schooling children at Guilin province. All the funds are collected from each of Kingtronics team members, though we can not help them change their life dramatically, we keep a faith in our mind that to help them at much as we can. 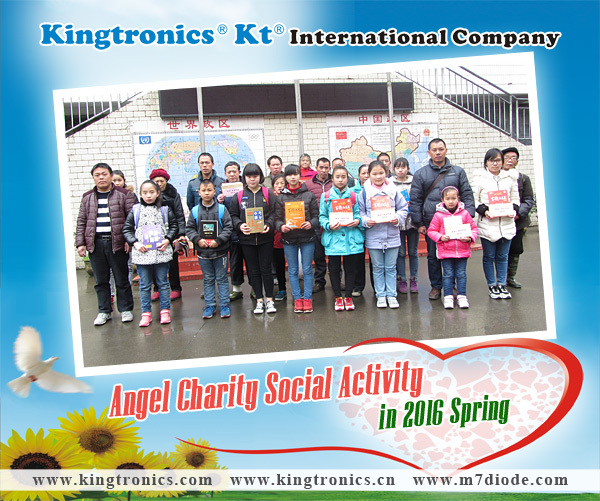 Our tiny mercy actions proved an old saying "Unscrupulous non-hero, true hero does not change his mind "
Kingtronics welcome you to join our Angel Charity Social Activity in 2016 Autumn.